Have a layover in Fiumicino airport but not enough time to make it to Rome city centre? 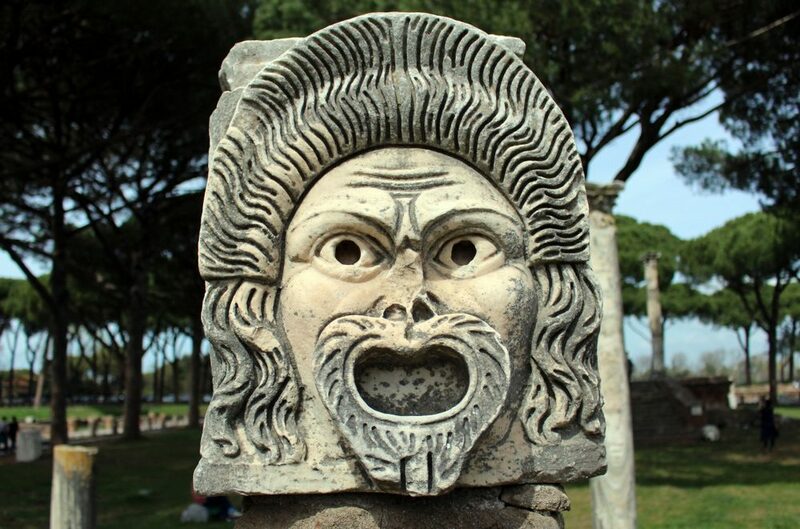 Head out to Ostia Antica, a mere 10 km away from Fiumicino, once the bustling port town of ancient Rome, now a vast archaeological site of well-preserved ruins. 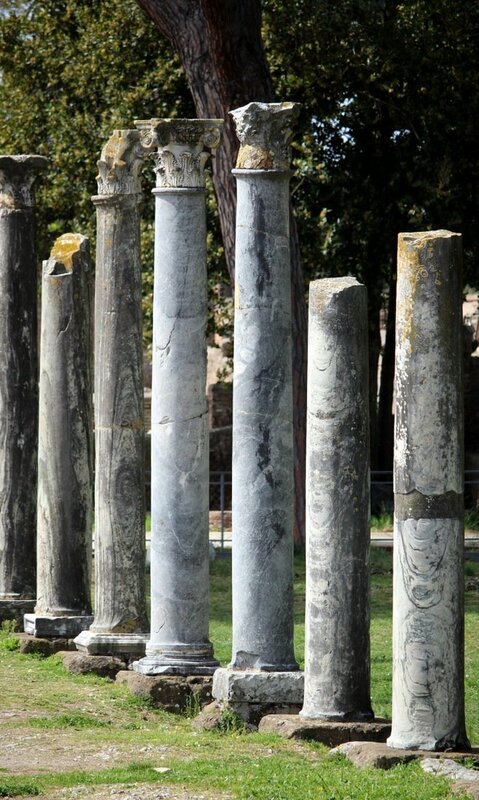 We visited the ruins on our 6-hour layover in Fiumicino en route to Croatia. The easiest way to get to the ruins is by taxi but that may be a little bit pricey, so you can use public transport like we did. 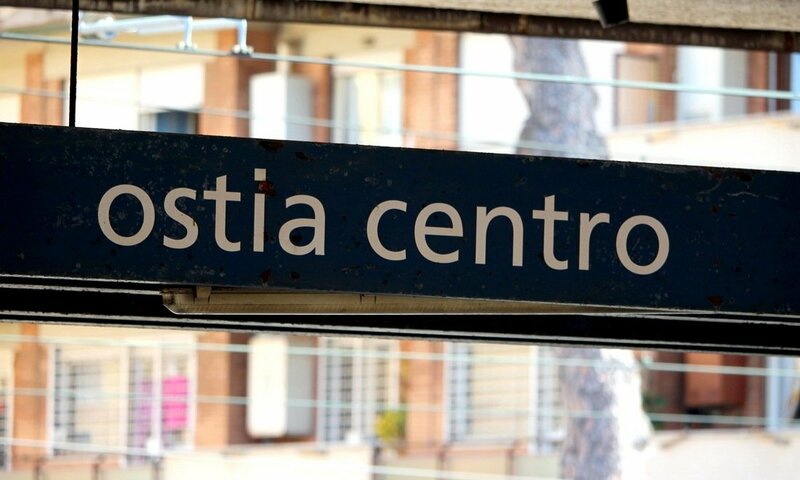 First you need to go to Fiumicino airport’s Terminal 2 and take a Cotral bus to the central train station – the bus will have Lido di Ostia written across the front. Bus timetables have been pasted to one of the columns outside Terminal 2 and can also be found online. If you get a window seat you are likely to see the ruins during the bus journey but you need to descend the bus at the last stop, i.e. Lido di Ostia (Ostia Centro) and the trip takes around 30 minutes. 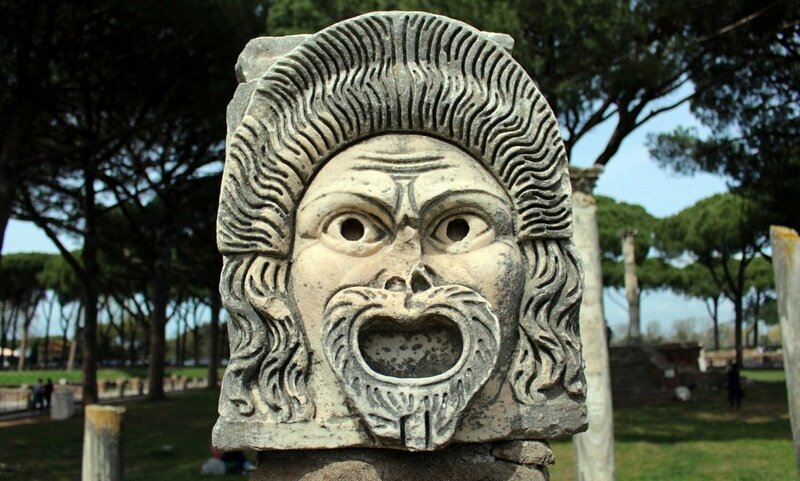 Once you are at the train station, go to Platform 1 and catch the train going in the direction of Porta S. Paolo and descend two stops later at the Ostia Antica stop. All buses and directions are clearly marked so there should be no confusion in following the directions. Once you exit the train station, take a short walk along a straight road to the ruins – at one point you need use an overhead bridge to cross the motorway. To get back to the airport you need to first walk back to the train station, then take a train going in the direction Cristoforo Colombo and descend at the Lido di Ostia (Ostia Centro) stop. From here take a Cotral bus to Fiumicino airport – “aeroporto” should be signed across the bus’ front. Do leave enough time to get back including since the bus does not go directly to the airport. Alternatively, if you are short on time, you can always take a taxi back. Now for some prices – if you need to store any luggage at the airport, the cost is 6 euro /piece and the luggage deposit is located in Terminal 3. The tickets for the bus can be bought in the little “biglietteria” shops at the airport itself and cost 1.30 euro each way – we bought our return tickets from there too. The train tickets cost 1.50 euro each way and can be bought at the train station. The entrance to the ruins costs 8 euro per person and a map of the site costs 2 euro. 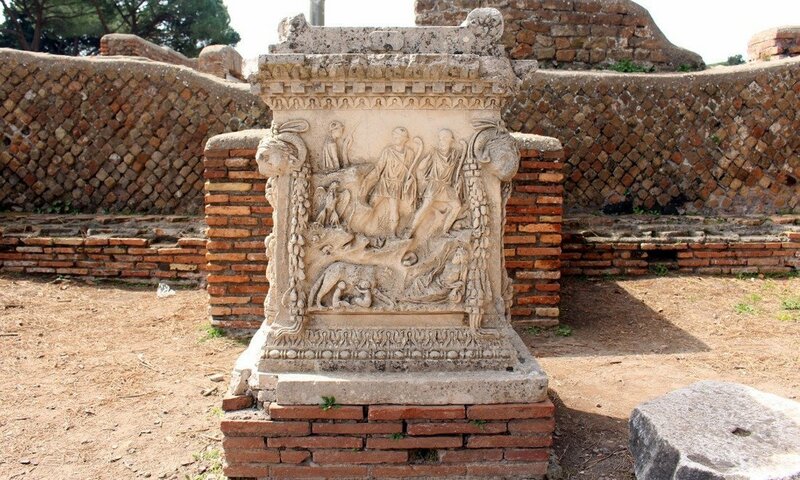 The archaeological site of Ostia Antica is massive and the ancient buildings, frescoes and mosaics are very well preserved. There are Roman baths, a Roman forum, an amphitheatre, fountains, arches and temples set in a grid-like fashion. It is really important to wear comfortable, flat shoes because of the stones and cobbles (trust me, the chunky-heeled boots I wore in order to save on luggage space were a crappy idea) and bring water or water bottles along – fresh, potable water can be found on site and can be used to refill your bottles. 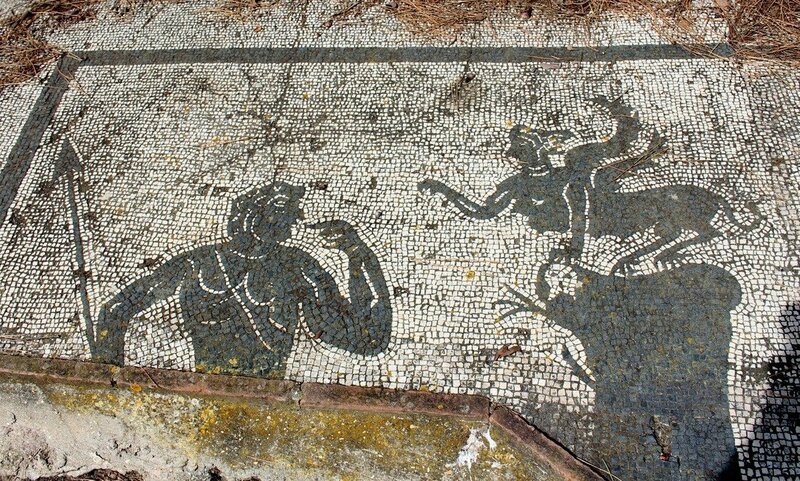 Because the Ostia Antica ruins site is vast, you will need more than a couple of hours to cover all of it properly, but if during your layover, you want to get out of the airport for a while, visiting even part of the site is an easy and highly recommended activity.